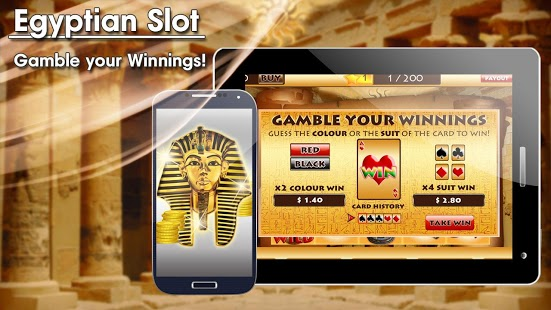 Created by EnlightenedApps.com Australia's largest mobile application development company with over 200 applications being used by over 5 million people worldwide, now its time to start betting, winning and risking your huge jackpots for a chance to gamble and HIT BIG with a x4 suited slots WIN! Play the No# 1 Rated Deluxe Slots game as an App, you can play amazing video slot machines at home, at work, on the bus, anywhere! 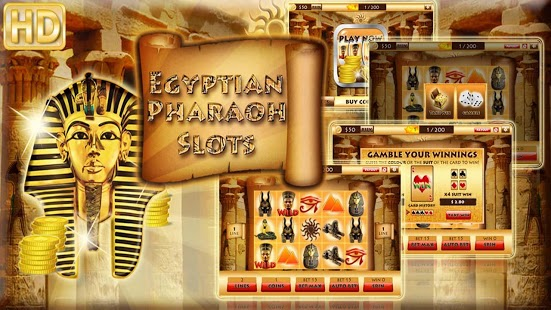 Welcome to the best place to discover the treasures of Egypt AND play Slots Online for FREE! Earn Coins and bonuses while moving up in experience rank, as you level you can bet larger amounts. Level, play, compete and shoot to fame with your Friends on Facebook all while enjoying hours of pure entertainment. Win tons of coins and become a high roller with Jackpots, Features and Slot Royale WILDs. Bet more money then you have ever seen before, are you willing to risk $1,000,000 on a 1 in 4 Suits Gamble? The only slot machine game on the market with a realistic gamble feature that just keeps going till you decide to take it all home. The only Slot Game with the MMO Levelling experience, every time you play you gain experience points unlocked higher bet amounts, for an all new gaming experience. 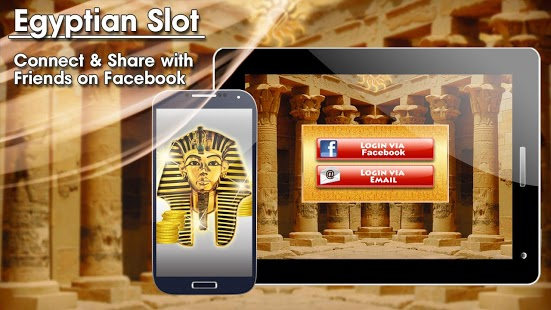 Enjoyed by millions worldwide Egyptian Slots is the favourite social slots game online providing unlimited FREE entertainment, top-tier graphics, and high-quality sound effects. ★ Hit a feature and win FREE SPINS!!! ★ Free $150 Slot Credit Bonus Coins every day you log in! Our slot games have large, smoothly animated reels and exciting bonus rounds. We have designed our slot games full of colourful graphics and impressive slot machine sounds to make your playing experience as realistic as possible. For technical problems or issues please email us at any time. We are listening to user feedback and we will certainly keep improving features so stay tuned.